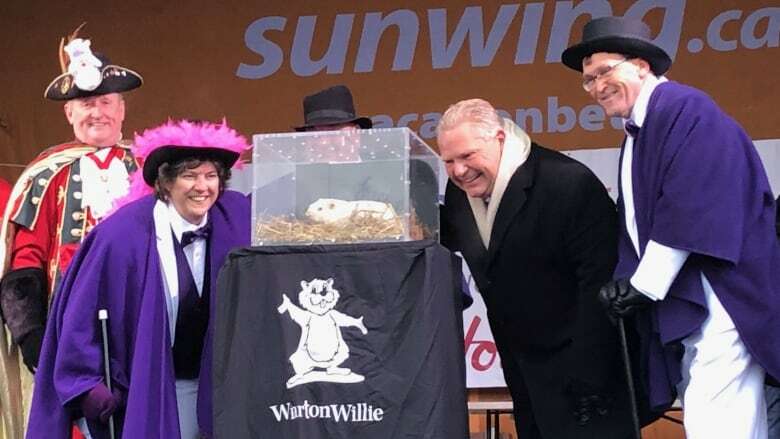 Wiarton Willie is predicting an early spring after the celebrity groundhog didn't see his shadow on Saturday morning. U.S.-based Punxsutawney Phil agrees, but Nova Scotia's Shubenacadie Sam has a completely different prediction. Wiarton Willie's handlers say the prognosticating groundhog has predicted an early spring. U.S.-based Punxsutawney Phil agrees, but Nova Scotia's Shubenacadie Sam has a completely different prediction. Ontario Premier Doug Ford was among the officials on stage when Willie's forecast was made in Wiarton, Ont., 220 kilometres northwest of Toronto. Janice Jackson, mayor of the Town of South Peninsula, talked to the celebrity albino rodent in his glass cage as he made his prediction at the Groundhog Day festivities. "Well, I don't know who he's going to disappoint, but he said it's going to be an early spring," Jackson told the crowd to cheers on Saturday. Ford clapped at that point. 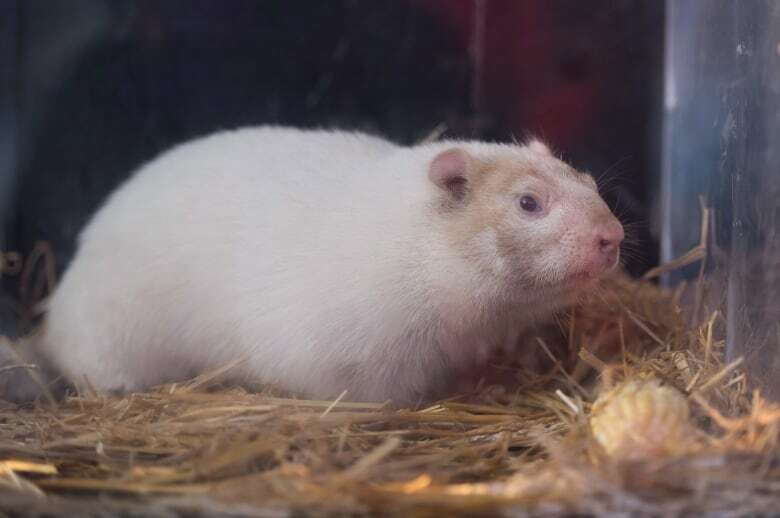 Wiarton Willie made his prediction at 8:07 a.m. at the 63rd annual festival in his name. It comes as much of the province is emerging from a bitter cold snap. Folklore has it that if a groundhog sees its shadow on Groundhog Day, it will retreat into its burrow, heralding six more weeks of cold weather. But spring-like temperatures are thought to be on the way if no shadow is seen. Willie was backed up by the most famous American groundhog, Punxsutawney Phil. 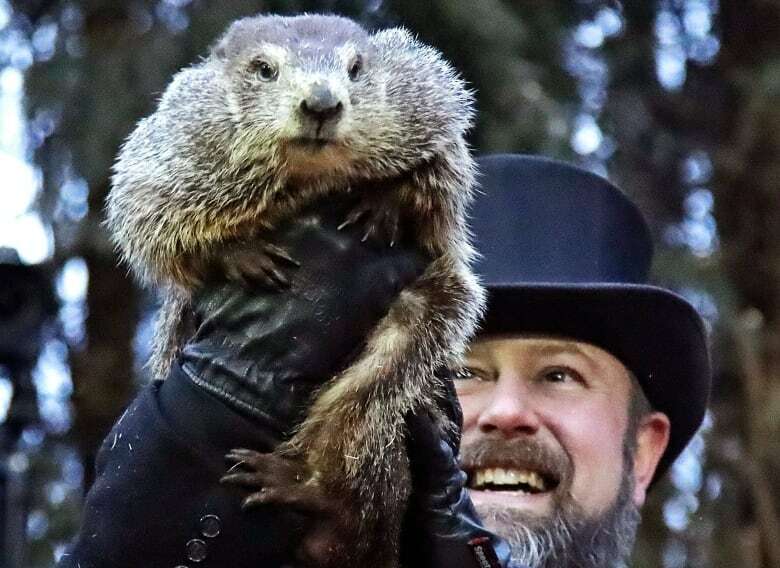 At sunrise, just before 7:30 a.m. Saturday, Punxsutawney Phil emerged from his burrow in Pennsylvania and didn't see his shadow. In reality, Phil's prediction is decided ahead of time by the group on Gobbler's Knob, a tiny hill just outside Punxsutawney. That's about 105 kilometres northeast of Pittsburgh. But Shubenacadie Sam, Nova Scotia's Groundhog Day darling, grudgingly clambered out of his shelter just after dawn, saw his shadow, and retreated into hiding. Tabitha Cox, head nature interpreter at the wildlife park where Sam lives, said about 200 people came out to the park in frosty weather to watch the furry forecaster make his prediction. "I heard some booing," she said. "People love it or hate it with winter." 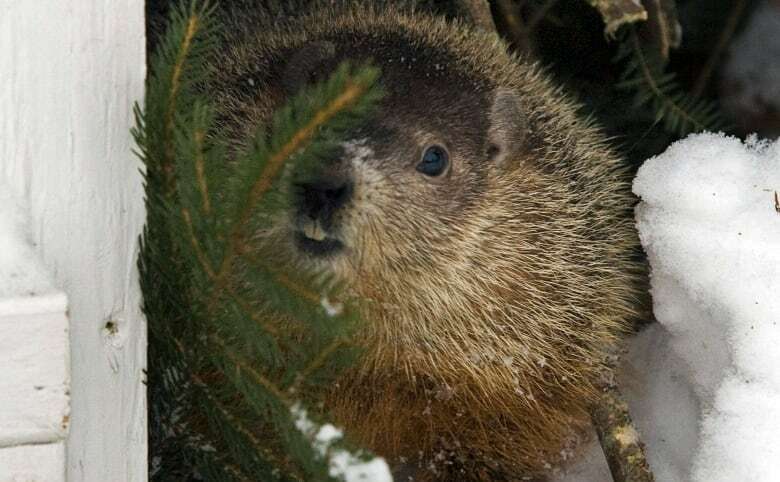 The wildlife park has held Groundhog Day events for the past 30 or so years, and Cox says there's a "Shubenacadie Sam family" of groundhogs that are used to make the forecasts. The human weather experts say the odd ritual has a poor record when it comes to predicting the weather. In his book The Day Niagara Falls Ran Dry, climatologist David Phillips cites a survey of 40 years of weather data from 13 Canadian cities, which concluded there was an equal number of cloudy and sunny days on Feb. 2 — and during that time, the groundhogs' predictions were right only 37 per cent of the time. But Cox said that despite the hit-or-mostly-miss nature of these forecasts, it's important to keep the tradition alive for Canadians who want to have some fun and blow off some mid-winter steam. "I think it's just because it's something fun in the dead of winter," she said. "[There's] not much else going on, Christmas and New Year's are well over, Easter's still a long way away. It's just a chance to have some fun." Last year, Sam predicted a quicker onset of warm weather, while Willie forecast six more weeks of winter.